Our buddy Jake Sanino volunteered the company's supply tent for practice. We ran an extension cord out to the generator that Leadbetter'd "appropriated" for Dodge City and we had plenty of juice for all of the amps, plus my jerry-rigged PA system. When Sugden, Ioli, Jessen, and I weren't out on patrol, sleeping, or in the mess hall for chow, we were back at the supply tent, practicing. 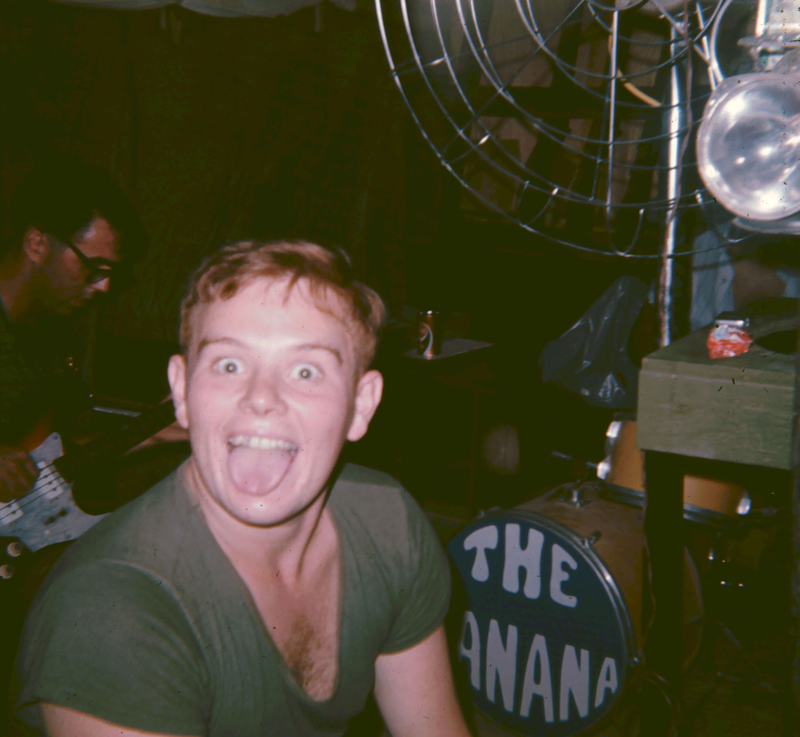 That's Jessen, keyboards, with his tongue hanging out – point a camera his way and you'd always get a reaction. Sug's behind him on bass. After a few minutes of limbering up, all faces turned to me. For a split-second, I felt like I was going to cry. Then the bandleader in me took charge. Sugden and Ioli nodded, positioned themselves, waited for my cue. Jessen’s eyes looked like question marks. I wondered again if Jessen really knew how to play. I stifled a sigh. Now I was sure he didn’t know how to play. Sugden looked down, pretending to tune his bass. Ioli fiddled with his snare. Leach shoved his hands in his pockets. “Only three chords?” He scratched his head. I’d never had to kick anyone out of a band before the first practice. I tried to hide my irritation. “No, let me show you,” I said, strumming a G7 as I walked over to the organ. I demonstrated the chord changes. Jessen smiled when I was through. So I counted it off.